This course examines the struggles and successes of American women in fighting for equality in American politics, life, and culture, from the movement for suffrage through campaigns for fair wages. 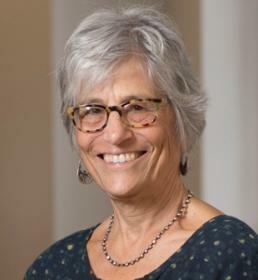 Led by esteemed historian Linda Gordon, one of only three historians ever to win the Bancroft Prize twice, students study grassroots political activism, landmark court decisions, significant achievements in the arts, and the intersection of work on behalf of women’s rights in the United States with other galvanizing movements for equality at home and abroad. We also consider the evolving role of gender in mediating political discourse and social relations in the United States, and study important distinctions in activism and opportunity shaped by race, geography, economics, and marriage. Linda Gordon is a professor of history and a University Professor of the Humanities at New York University. Her early books focus on the historical roots of social policy issues, particularly as they concern gender and family issues. More recently, she has explored other ways of presenting history to a broad audience, publishing the microhistory The Great Arizona Orphan Abduction (Harvard University Press, 1999) and the biography Dorothea Lange: A Life beyond Limits (W.W. Norton, 2009), both of which won the Bancroft Prize. She is one of only three historians to have won this award twice.